Over the next several years, Kemp spent his days in Dallas hitchhiking and finding work while spending nights on streets or under bridges — relying on the charity of others for food and supplies. Now 23, Kemp lives in affordable housing adjacent to LifeWorks in East Austin, a shelter and support organization. He spends his time now as an advocate for others going through what he went through. “It’s ridiculous that it took me four years to find out that I could get transitional living, counseling, housing,” Kemp said. Homeless youth in Texas like Kemp are inadequately supported due to a spotty system of programs and resources, according to a new report released Wednesday by Texas Appleseed and Texas Network of Youth Services. The report concluded that while a network of advocacy organizations serves many homeless youth across different parts of Texas, a lack of central authority or a single definition of homelessness means youth can cycle through the child welfare system, education system and juvenile justice system — jumping between being labeled a victim or an offender, eligible for resources in one system but not in another. "The big picture here is that we've got all these state systems that intersect with this issue and they're all experiencing challenges because of this issue, because Texas hasn't really brought resources to serve this population to the table," said Texas Network of Youth Services Executive Director Christine Gendron. Policy recommendations in the report include initiating a statewide task force, led by the Department of Family and Protective Services and the Department of Housing and Human Affairs, to identify funding strategies and increase resources for transition centers, guaranteeing that homeless youth have assistance when they are victims of crime and increasing intervention for runaways. Gendron pointed to the public education system as a bright spot in easing access to resources for homeless youth. “Schools are on the front lines when it comes to the opportunities to identify young people who are homeless,” she said. Administrators from schools in areas affected by Hurricane Harvey say their resources are being especially stretched after a sharp increase in homeless students because of the storm. Wanda Bamberg is superintendent of Aldine ISD, located in Harris County north of Houston. She said the number of homeless students in her district grew from 478 last year to 1,146 this year — but that school resources and staff are based on 2016's numbers. A statewide count of homeless students following Harvey is not yet available, but in the 2014-2015 school year, 113,000 students were identified as homeless according to the Texas Homeless Education Office, an organization funded by the U.S. Department of Education and the Texas Education Agency to ensure educational opportunities for homeless youth. 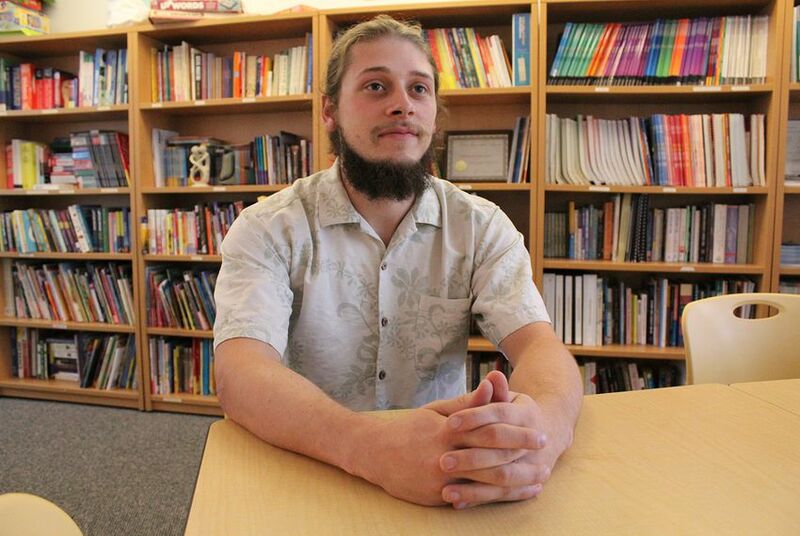 Schools may be best equipped to be a point of contact for homeless youth, the report said, but that doesn't mean those students won't still struggle. According to the report, 1,000 homeless students repeat a grade and 1,400 drop out each year, and homeless students are 10 times more likely to drop out of school. They’re twice as likely to be referred to in-school suspension and five times more likely to be referred to alternative education. Part of the reason homeless youth are more likely to end up in the criminal justice system is that they have nowhere to go, the report said. Breaking curfews and running away can often result in detention for “delinquent conduct.” Each year in Texas, around 2,000 youth are referred to the juvenile probation system for running away, according to data from the Texas Juvenile Justice Department listed in the report. But homeless youth are also more vulnerable to becoming victims and experience higher rates of sexual and physical assault. According to the report, 34 percent of youth surveyed experienced child abuse or neglect, 23 percent experienced sexual assault and almost 17 percent had been physically or sexually assaulted on the streets. Kemp said he feels lucky to have avoided jail during his years of homelessness and doing “shady stuff” — he has seen his peers fall into that system. When Kemp’s family became homeless, he dropped out of school and worked to help support them while they lived in a hotel. Since then, he’s obtained his GED and hopes to apply to a global studies program at the University of Texas. Disclosure: Texas Appleseed has been a financial supporter of The Texas Tribune. A complete list of Tribune donors and sponsors is available here.